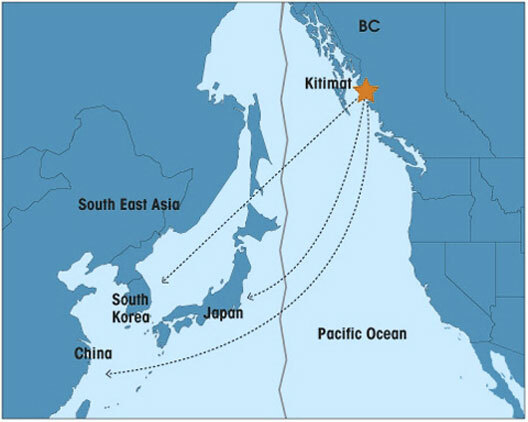 The Kitimat LNG project in Kitimat, B.C. has taken another step towards realization. 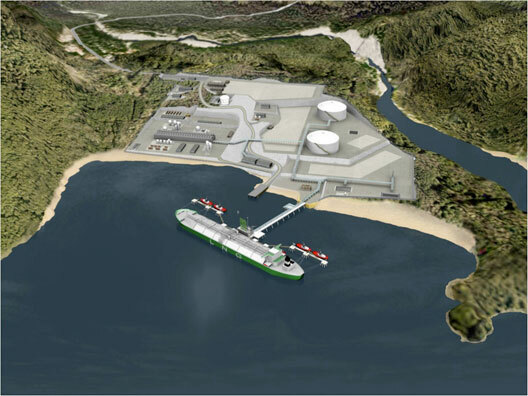 Canadia's National Energy Board has granted the project's owners, a consortium of Apache, EOG and Encana, a 20 year license to export liquefied natural gas. 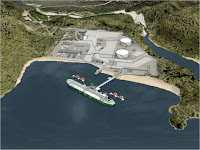 If all continues to go well for the US$5.5 billion project, it could begin exporting gas by late 2015. This is very good news for the western Canadian natural gas market. The region has a wealth of shale gas but demand for the gas is shrinking as less and less is piped to the U.S. and the Canadian market cannot sustain the extra supply. B.C. 's geographic isolation doesn't help sell gas in the rest of Canada, but it is positioned well to export to Asian markets.